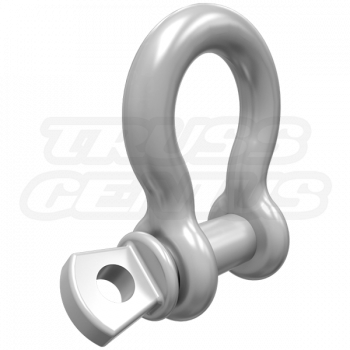 The eye clamp is equipped with an eye nut great for suspending (Non-Moving & Non-Swinging) objects from wire rope, rigging chain or spansets. 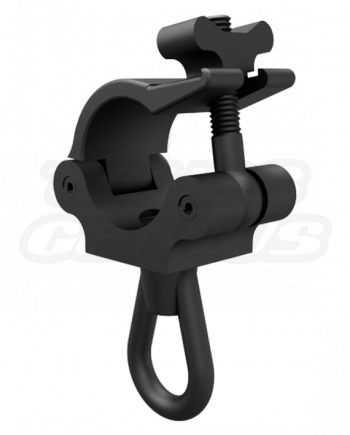 Black Powder Coat Eye Clamp 2-Inch Pro Clamp with Welded Eye Nut can be used to mount (non-moving & non-swinging) objects like Shackles, Gac Flex Round Slings, and other Rigging Lifting Equipment. 2. 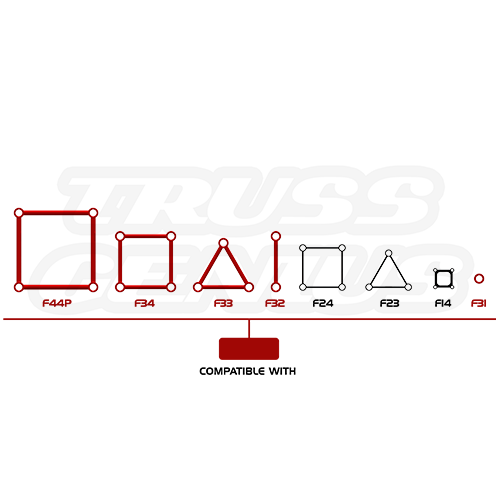 Place the Black Eye Clamp on the Truss, Tube or Pipe and close the collar. 4. 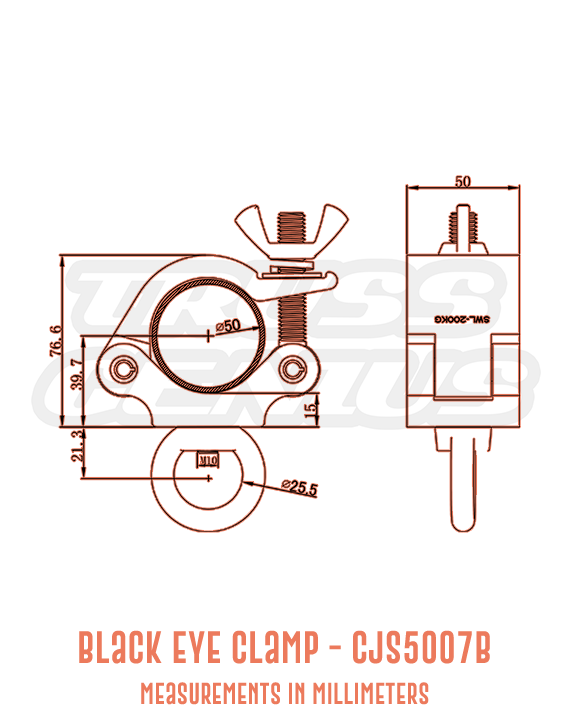 Make sure the Black Eye Clamp is located in its proper place on the Truss, Tube or Pipe before tightening the wing nut. 5. Turn the wing nut clockwise to tighten and secure the Black Eye Clamp into place. 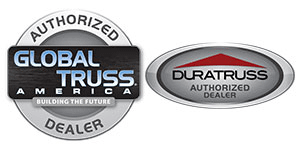 Do not exceed the load capacity of the Black Eye Clamp or Truss System. 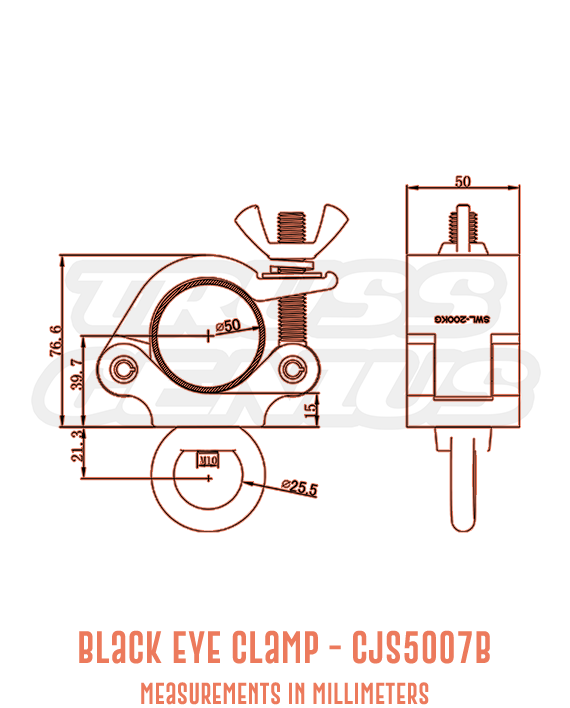 The Black Eye Clamp should be fully inspected before use. 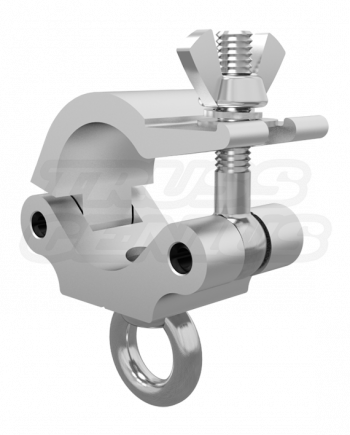 In the occurrence of any damage or defect, the Black Eye Clamp should not be used. The use of safety cables is recommended for maximum security.